Rated 5 out of 5 by gamepond from Another fun H.E.L.P. adventure I've seen a few reviews saying that this game is just like the others, the creators haven't given us anything new, etc. Well, it is just like the others, but that's fine with me! I like this series because there are no witches or werewolves, and it is a fun way to pass some time. I'm not expecting a blockbuster movie series. And this game gave me what I was looking for. My favorite part is that Sam is back! I missed him in the last few games, and I must not have been the only one, since they've brought him back for this one. Different voice though (I wonder if the previous voice actor left the company or something). My only real criticism is that I did find the storyline a bit confusing at times. It was a bit hard to keep track of where we were - Montana, New York, Boston, or Honduras. But it was still a fun adventure, and I enjoyed it. It was a delightful way to spend a quiet evening. 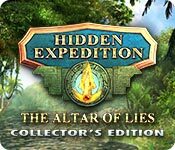 Rated 5 out of 5 by patricia356 from Very fun and fast moving addition to the series I really love the Hidden Expedition games. They are always interesting and entertaining and I learn new things from each game. The graphics are a beautiful rendition of the Amazon jungle. Liked the plot but it was a little easy to guess the villains. Yes I guess it is a little short. Since I knew that I waited until it was on sale. But I have to say I don't mind short. Some games are so long I am tired of them at the end and do not want to play the extra chapter. So I have started waiting for the SE versions. This was an exception since there was a special deal. I recommend this game. Rated 5 out of 5 by pixie30 from Excellent game this is a great addition to one of my favourite series. The puzzles weren't too hard and the HO scenes weren't too easy. i bought it as soon as the trial ended and would definitely recommend . Rated 5 out of 5 by Lorijb from Loveed it Another great game, I have never been disappointed with any Hidden Expedition games. Love the series, I have everyone of them. Rated 5 out of 5 by CNew from Love This Series and Enjoy the Game So Far I really enjoy this series and played the demo first and knew I would buy it. 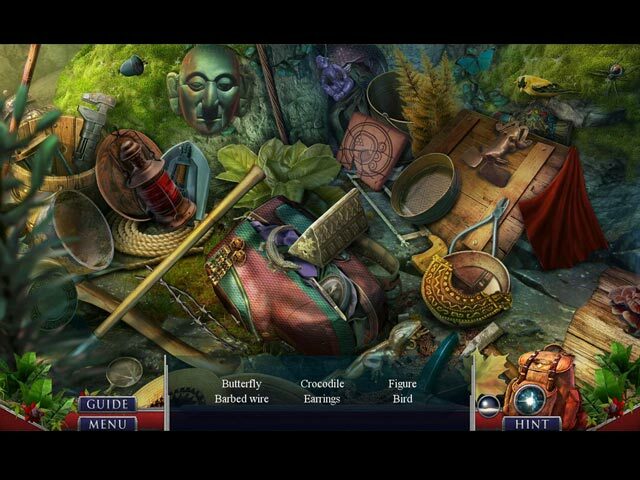 It has some new ways to play hidden objects. Graphics are good and enjoy learning something while I play. I like the puzzles, fun but not too hard. A great addition to the series. Rated 5 out of 5 by HeavenBound7729 from Fantastic Adventure! I am always ready for another Hidden Expedition. They are never boring and never less than great quality. This one provides a fantastic story which begins at an archeology site in the notorious rain forest and the graphics are absolutely gorgeous. After being overtaken by the bad guys, the fun kicks in and we are engaged in escaping and finding out what the heck is going on, and "taking care of business" amidst the danger involved. Never a dull moment ! I can always count on a new, exciting adventure. I have never been disappointed with Hidden Expedition and find the storylines always full of adventure, taking me around the globe to new danger in beautiful, new locations. I have never had anything but a great time with my purchases. The HOPs here are really good, incorporating a theme and nice variety, though not as numerous as usual. But everything else more than makes up for that shortage. The puzzles are all terrific with a nice challenge. The characters are rendered very well. Hidden Expedition always gives me my money's worth. I think this one is really top notch and I highly recommend it for the entire family. Rated 5 out of 5 by Ndwelt from Amazon Jungle Who doesn't like a good story beginning in the Amazon jungle? The colors are vivid and brilliant. A excellent story too boot. We need a Great story to have a 5 star game, right? There is not too much hand-holding and even the HOP's that have you "find the words" to progress the plot are done in a way that is totally believable to the scheme of the storyline. This is a great day to buy with 60% off. TY BF! Rated 5 out of 5 by sunnyglow from INVESTIGATE SOME AGENCY MONKEY BUSINESS IN THE RAIN FOREST REVIEW BASED UPON THE ENTIRE GAME 4 Chapters Plus a Bonus Chapter – Strategy Guide: 39 Pages OVERVIEW: Agent! You are off to Honduras to locate an ancient artifact with immense powers, the Spear Lord. However, an international group of smugglers, the Noble Scoundrels, want this valuable artifact as well to sell on the black market. Upon arrival at the archaeological site, you and you partner, Sam, are ambushed by this group resulting in what appears to be Sam’s death. Upon your return to the United States, you find yourself in hot water with the agency. You are being framed for Sam’s supposed death and are under suspicion as a mole within the agency. Now you must go undercover to clear your name all while trying to keep the Spear Lord out of nefarious hands. OPIINION: This is a hi-tech fantastic adventure, one which should keep players in suspense. For me, this game is a matter of quality over quantity. There are not as many puzzles nor HOP scenes as in other developers’ games. Nevertheless, this game demonstrates master craftmanship in gaming. The graphics of the Honduran rain forest are breathtakingly beautiful! Hi-tech devices are incorporated into the storyline including three-dimensional imaging and drones. 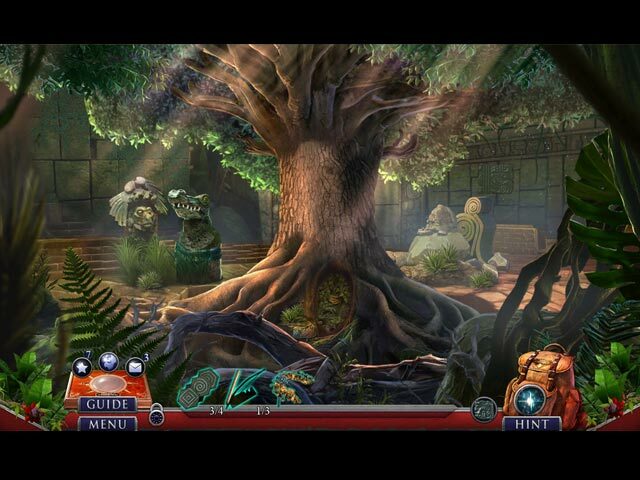 The storyline is excellent with EIPIX incorporating some lovely Mayan legends into this game. This would be a great game for children (with adult help on the puzzles) to learn about Mesoamerican ancient civilizations such as the Maya. It is a fast-paced game with a myriad of activities to keep the player engaged. MECHANICS: There are the usual four levels of play, including a customized version of the game. There are thirteen (13) achievements (some with three parts). Collect fact cards which provide background and historical information about places or items within the game. Collect thirty-six (36) Mayan hieroglyphs and twelve (12) morphing objects within the HOP scenes. There are twenty-four (24) souvenirs (jigsaw pieces) which are collected at the end of the game. Surprisingly, you do not use the pieces to play a jigsaw puzzle; rather, the pieces, when gathered, produce a completed jigsaw puzzle. I found all collectibles easy to locate. You can replay sixteen (16) puzzles and fourteen (14) HOP scenes. There are eight (8) wallpapers along with usual concept art. There are musical selections and video sequences as well. BONUS CHAPTER: The bonus chapter is a prequel. Play Sam and find yourself back in the Honduran rain forest. As in the main game, you are ambushed by the same evildoers. You must overcome danger in your attempt to climb to a higher altitude to be air rescued by a fellow agent. I was not impressed with this chapter, and to me, it is NOT worth the extra money. It is very short. There are only three (3) HOP scenes – two are short lists of items and one is a matching scene. The puzzles are better; however, there are only four (4) in this chapter. I played this entire chapter including all four puzzles in approximately one-half hour. HOP SCENES: There are fifteen (15) HOP scenes within the game. They are thematic in design and there is a nice variety of them. Many are multiple-step in design, consisting of searching for items in two different formats. Most of the scenes are somewhat interactive. Included are two of my favorite types of HOP scenes – cryptic clues and rebus scenes. There are also silhouette, lists of items, storybook (searching for highlighted items within the script of the story), and matching. There are morphing objects in most of the scenes. PUZZLES: There are twenty-three (23) puzzles within the game. Although there are not as many as in other developers’ games, they are exquisitely designed. I would rather play fewer puzzles which are enjoyable than numerous ones which are poorly constructed and/or boring. 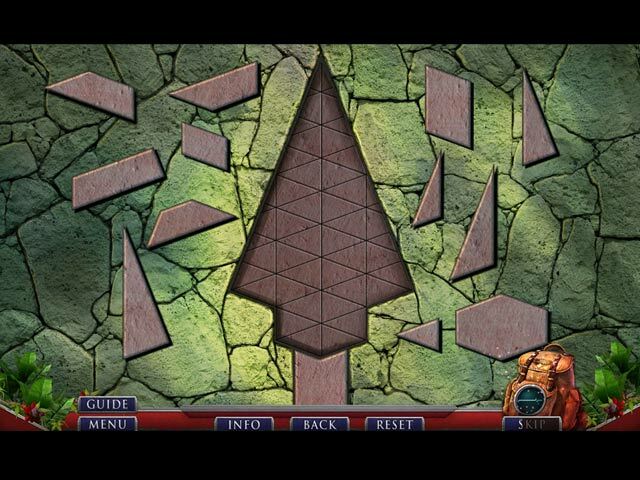 The puzzles range from easy to moderately difficult. There is a wide range of puzzle types as well. My only complaint is the lack of sufficient instruction on solving some of the more difficult puzzles. SPOILERS: THESE ARE SOME OF MY FAVORITE PUZZLES AFTER THE DEMO: A. Connection puzzle. Connect two yellow gems by creating a path through a grid. You must go through four (4) green stones as well. You cannot retrace your steps. B. Maze puzzle. Move a Mayan hieroglyph through a grid to reach its final exit in the middle of the board. The hieroglyph must knock out all god statues in its path. Once knocked out, the gods turn into boulders. Somewhat difficult C. Maze puzzle. Move four colored tokens on a grid to their like colored slots by using eight (8) buttons at the side which have established movements upon them. Strategize the proper sequence of moves to get each one into its proper location. D. Logic problem. On a chessboard-like grid, place ravens so that each row and column contain the number of ravens as indicated at the top and sides of the grid. E. Three-dimensional puzzle. Move cubes into position on a 3-dimensional slanted grid so you can stack them on top of each other as per a given code. F. Physics puzzle. Mirror puzzle. Rotate mirrors so that the angles of the beams of light connect like-colored tokens. G. Beat the computer! Place lines within a grid to create squares. Once you close a square, you add it to your collection. Whoever has accumulated the most squares wins the game. H. BONUS CHAPTER: Tangram puzzle. Place pieces into proper position to completely fill in an arrowhead-shaped grid.